There are a couple of tricks you can use to save time in a BASH terminal, by making use of BASH's history, silently stored in the file ~/.bash_history. These work in all BASH terminals, including Konsole, XTerm and gnome-terminal. If you press alt+. then the last parameter you passed to any command will appear at the cursor. Example below: First time I press alt+., it displayed -lr, 2nd time I did it it displayed Desktop etc. According to Steve Rubel's Micro Persuasion Blog, MSN has launched Virtual Earth. The team's Virtual Earth Blog has some tips and tricks. Although promising, it does not look a match for Google Earth Plus to me. Still check-out Chandu's blog for a more detailed review. This tiny (1" x 1" x 1" and weighs only 18 grams) mp3 player is available at Walmart in 6 colors and 1Gig version costs around $130. There is good review about it at Anything But iPod Blog, well -worth reading. I am reading conflicting news about battery life which ranges between 10-20 hrs. The official web site of MobiBLU claims 17 hrs though. Wooooow! That's what I have to say about Varekai Show by Cirque Du Soleil in Meadowlands, East Rutherford that we have seen on Saturday (July 23,2005). What a great show! Colorful costumes, beautiful music, original choreography and mind-boggling acrobatics were all fabulous. They will be around just until the end of the July. This is something not to be missed! Deep within a forest, at the summit of a volcano, exists an extraordinary world where something else is possible. 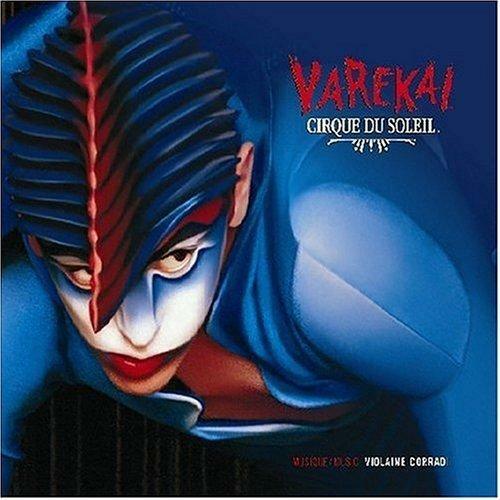 A world called Varekai. The word varekai means "wherever" in the Romany language of the gypsies the universal wanderers. This production pays tribute to the nomadic soul, to the spirit and art of the circus tradition, and to the infinite passion of those whose quest takes them along the path that leads to Varekai. Welcome to the Beta launch of the OpenPower Project – created just for Linux users. It's a great opportunity to pioneer an online Linux initiative, dedicated to testing the latest Power Architecture™ technology that's intended to advance Linux on Power. This is where you can test and tinker with the latest OpenPower servers tuned for running Linux. You get remote, non-root, shared access via SSH to the latest POWER5™ processor-based OpenPower™ servers. Compile and run your applications, test them, compare them, whatever – it's up to you and your imagination. Power Architecture technology is an ideal platform for Linux® – simple, fast, and robust. Simply put, OpenPower servers take Linux to the next level. Join us. Others already have. There are two remote locations you can choose from, in two different configurations. Choose your machine, get your most challenging code, and have some fun! Jan Weck is a guy I met years ago in one of NT Server Admin discussion lists. We kept in touch mostly on ICQ for years and shared tips and tricks. We lost contact shortly after I moved to US & started working for Wall Street Companies*. (*) Security Exchange Commission - SEC - requires Wall Street companies to retain logs of all communications especially on Trading Floors. Karl Rove said in an interview: "I did not know her name, I did not leak her name". That's playing with the words at its finest. So, if he says "His wife is a CIA agent", and then utters the words above, is he being honest? Everyone has a Favorite Word! What's yours? 2) Adil, I had the same problem... switched to 'konsole' and am very pleased. desktop. Type 'konsole' in the "Run Applications". I tried both and both works fine! [UPDATE]: I've forwarded this link to a few friends of mine and guess what? I am told that I am too far behind of 'the circulated entertainment materials' and was asked to challange Lord Vader. You'll be impressed! Thanks, Sam Li! I copied this useful cheat sheet from "Command Line Warriors" blog. Check out their blog for more. Rocketboom: "drinking game played to karl rove ongoing investigation from white house press briefing by scott mcclellan". Boy, THIS IS FUNNY! After using both for a few months, it looks like kyum serves me better. When I had an issue with one of the repositories, yumex kept looping and crashed while kyum just displayed the the error. Kyum interface does allow you to disable/enable repos easily too. ratDVD claims to be a DVD movie format for online download. Author says " RatDVD is the result of my downloading experiences. Downloading movies, even DVD rips never really worked out to what I expected. When I download movies, I want the full DVD feature set and I want to be able to watch it on any DVD player - without loosing any features of the original DVD. That is what ratDVD can do for you". It sound like a promising new tool. AfterDown has a nice article on how to use it. A must read! Take a look at other useful shortcuts! Martin is a friend of mine from work. Today is his last day at work. He is going back to Denmark. Last night, we had our "Farewell to the "Great Dane" party at Pravda - 281 Lafayette St, NY. Goodbye baby! (baby is Martin's favorite english word). We will miss you. I got the news from InsideGoogle Blog and immediately downloaded Google Earth Plus. I loved it! I was holding my breath when I saw it zooming from space down to NYC! Wow, such a cool effect! Checkout the original post here. Morningstar Investing Classroom is a pretty cool place to learn about investing. They are best known for their ratings of Mutual funds but recentrly they offer individual stock researches over 1500 companies. It's FREE. Go for it! Oh, while you are there, check out their new indexing system. I like it! All day today, TVs are repeated talking about Supreme Court Justice Sandra Day O'Connor's retirement after 24 years at the age 75. She is called 'the swing vote' as she sometimes contradicted to her own position she took in the past. There are several references to her position to upheld Roe vs. Wade which seems to be the single most controversial decision in the recent American History. As usual, Wikipedia has a very good article on this case thanks to which Women can choose to have abortion.